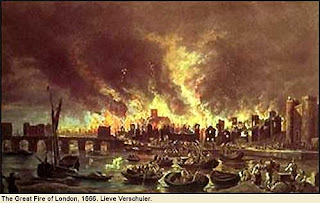 It's began the night of September 2, in 1666. It's started at Pudding Lane, in the bakeshop of Thomas Farynor,baker to King Charles II. It lasted 5 days. 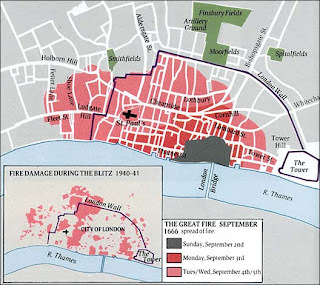 It destroyed 1/3 of London, and 13.200 people were homeless. The rebuilding lasted more than 10 years. Only 6 people died. Unfortunately, in the museum, a lots of galleries were closed. After visiting the museum, we went to St Paul's Cathedral. Marine's opinion : I didn't like this day because it was very boring. Laura's opinion : It wasn't very interesting, I would have prefered to stay seated. Timothé's opinion : I didn't like the visit, I stayed seated but I liked St Paul's Cathedral ! Noëllie's opinion : It wasn't very interesting but I liked St Paul's Cathedral.